The European Union urged the forces of Khalifa Haftar on Thursday to stop their offensive on the Libyan capital Tripoli. 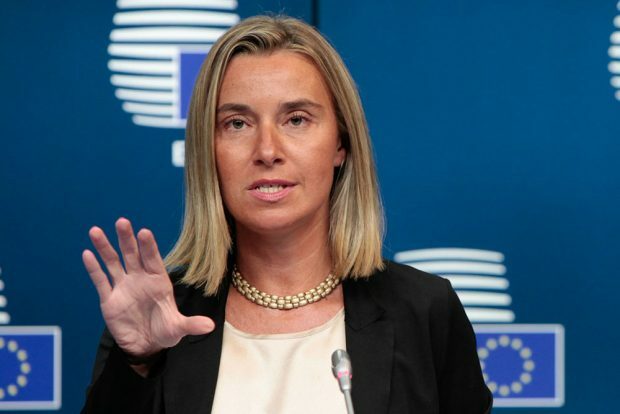 The statement from EU’s top diplomat, Federica Mogherini, had been held up for a day as France and Italy sparred over how to handle the escalating conflict. Haftar’s forces have been attacking Tripoli and fighting the forces of the U.N.-recognised government headed by Fayez Al-Serraj in Tripoli since last Thursday. “The European Union and its Member States call on all parties to immediately cease all military operations. The LNA and all the forces that have moved into Tripoli or its vicinity must withdraw and the humanitarian truces called by the U.N. must be heeded.” The EU statement reads.